Ever thought of a farm in town? 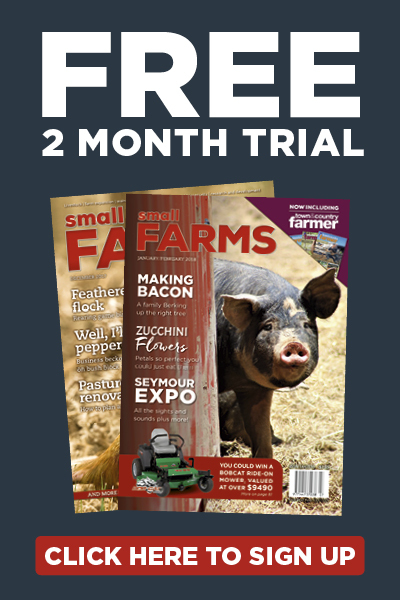 Many people who want to own a small farm are caught in a frustrating position. They have city jobs and are basically locked-in to their city careers for some years to come. Added to this, they may have commitments to their children’s education and weekend sport that mean they can’t drop it all and rush off and buy a farm in the country. All the while they are yearning to get their hands dirty in the soil, to own a small herd of cattle or tend a small orchard. 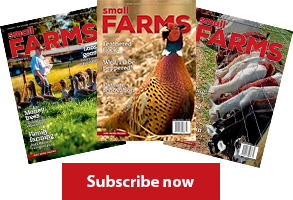 For some – usually at the wealthier end of the scale – a solution is to buy the small farm now and just let it tick along for a decade or so until they are ready to make the move. But this option needs money, lots of it, and it is unsatisfactory for many because it is just putting off forever, the desire to do some farming. There is another option. It is the option of living in the city but becoming a food producer right there and then in the suburb in which they live. This is the option of a city farm. 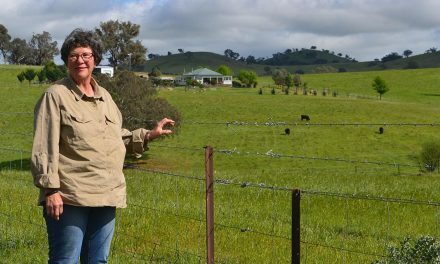 The case of Kym Hogno shows it is possible to run a small farm right in the main street of town. 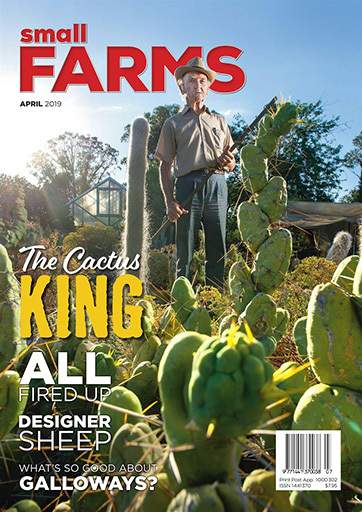 Kym lives in the small town of South West Rocks in NSW and his case shows that you can have a city farm while also engaging in another trade – in his case, work as a professional painter. In most towns and cities you will find a vacant block where an old building has been pulled down, but the owner has not yet redeveloped it. These blocks sometimes lie vacant for years. This is what has happened in the main street of South West Rocks where Kym lives and the owner has been happy for him to develop a small vegetable enterprise there. Kym pays rent to use the property. “I know that, one day, the owner will decide how to develop the land,’’ says Kym, “but, until then, it is quite a productive vegetable plot. “The fact that the block is in the main street works to my advantage because customers come walking past all the time and I have no problem selling the produce. “I know it is a temporary arrangement but I like it. I enjoy the work and call the garden ‘my gym’. I enjoy meeting the customers, producing food and taking care of the land,’’ he says. 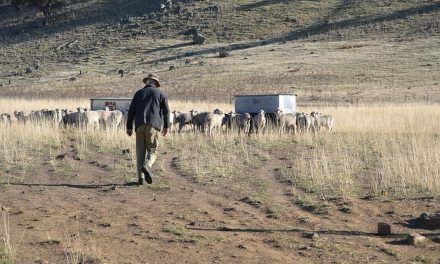 The plot of land on which Kym has developed a city farm is about a quarter of a hectare and he has been developing his farm at this location for about two years. It has a reliable 750mm rainfall zone and so most of the water needs of the vegetables are met by natural rainfall. In addition to the rainfall, Kym has developed a system of mulching which helps retain water in the root zone of the soil profile. “This plot is so productive that I think you could make a living from it if you worked it all the time,” says Kym. It might be a temporary arrangement but it satisfies Kim’s deep desire to be connected with the land in some way. In many towns and cities the local government authorities own small parcels of land which may be unsuitable for housing development, sporting fields or other community purposes. Similarly, it is commonly a condition placed on property developers that they set aside some portion of the land being developed for community purposes. The idea of a community garden for local food production is as much a ‘community purpose’ as sporting fields or parkland. Added to this, these small plots are often within easy walking distance of residential houses, blocks of flats and high-density strata title residences. 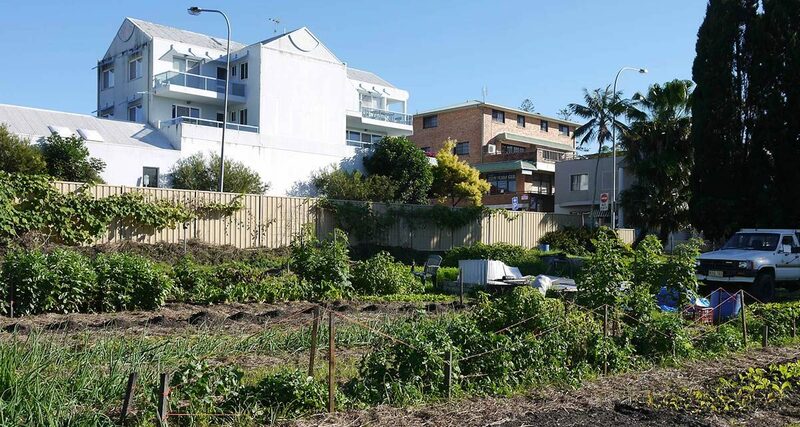 Councils all over Australia are now responding to this community need to be involved with the land and it is likely that there will be a community garden near you. Canberra is a city that gives us an example of a vibrant community garden scene. One organisation, Canberra Organic Growers, has 12 different community garden plots spread around the city. Most plots are less than half a hectare in size but, when their combined area is totalled, it comes to a combined vegetable farm of about 3.1ha. This is actually a significant food production unit. Within each of the community plots of the Canberra Organic Growers ‘farm’ individuals then rent smaller plots varying in size according to what is available and the ambition of the plot holder. At the organisation’s garden at Charnwood, some of the micro farms are 100sq m in size. Others are 25sq m and others as small as 10sqm. By working a small plot at a community garden, the landholder can start to learn the things which will become ‘must knows’ when the person moves up the scale and buys a bigger farm out of town. Some of these lessons will be things like: how to stimulate the soil biology to create a healthy soil; how to build-up soil carbon; how to conserve moisture in the soil; how to use mulch and many others. All these things can be learnt with a small financial outlay and almost no financial risk. By joining a community garden, the aspiring city farmer will gain practical experience and get the direct benefit of a good supply of nutrient-dense and healthy food. Another application of the city farm idea is in having a small plot of vegetable growing to directly supply a commercial café or restaurant. One example is at a café, the Blue Earth Café, in the small town of Bodalla on the south coast of NSW. The building in which the café is run is directly on the road frontage of the Princess Hwy and there is a lot of traffic. In the backyard, however, the owners have room for a kitchen garden – an area of about 25m by 25m. The owners grow a big array of vegetables in season in this garden and walk down there every day to collect food for today’s menu. As a diner in this café, it is reassuring to see the kitchen staff walk past you in the direction of the garden and come back a minute or so later with handfuls of lettuces, kale, tomatoes or strawberries. It really gives true meaning to the concept of ‘fresh food’. And, although the area of the garden is relatively small, it has a true commercial value to the enterprise. Firstly, the diners love it and this helps build a good base of repeat customers. Secondly, the food is essentially free, Thirdly, the proximity of the garden means that the kitchen staff do not have to spend time each day going to wholesale fruit markets. Finally, if you are one who is concerned about carbon footprints and food miles, the food miles of a tomato picked and eaten at the Blue Earth Café is precisely zero kilometres! 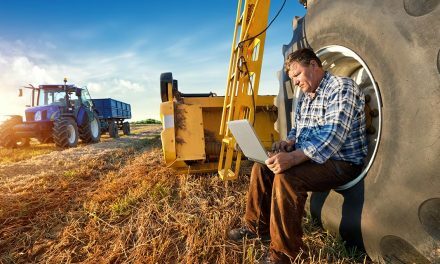 Don’t give up on the idea of starting your farming career now just because you are locked into a job in the city. 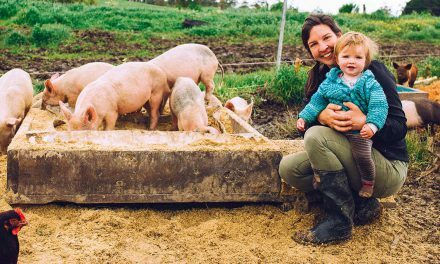 There are viable options that can enable you to become something that sounds like a contradiction – a city farmer.